The date of the highly awaited Cup of the Cameroon final has been disclosed. The 59th edition of the national challenge cup of Cameroon has officially been slated for Sunday December 2, 2018. The declaration comes months after the two finalist; Eding Sport of the Lekie and Lion Blesse of Foutini qualified during the qualification phase. Both sides have been fine tunning their strategies to get hold of the trophy presently occupied by New Stars of Douala. According to a communiqué published yesterday ,the much awaited final which is suppose to mark the end of the sport Season in Cameroon begins at 3:00pm and will be chaired by the President of the Republic Paul Biya. It will equally be the first official outing of the president of republic following his re-election as president of the republic of Cameroon. The 59th edition of the Cup of Cameroon will be a battle between a division one side and a second tier league. Eding Sport secured two victories while Lion blesse recorded a single win. Both teams have equally settled for a draw once on one occasion. was on July 2nd 2017. 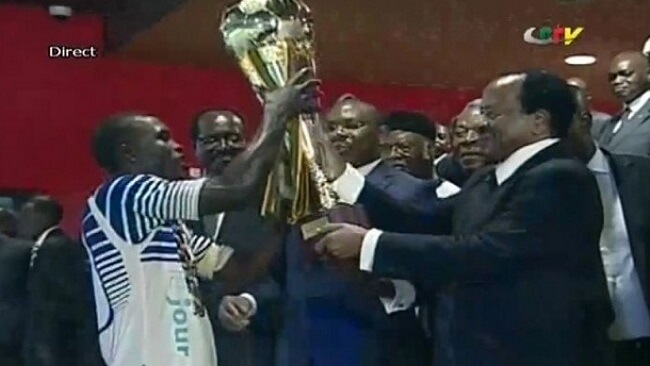 The winner of this 2018 edition succeeds New Stars of Douala, champion of the 2017 edition.